OECD (2012) OECD Yearbook 2012: Better Policies for Better Lives. 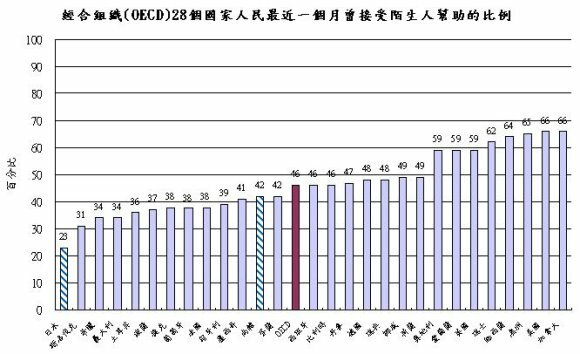 OECD (2011) Better Life Index: Community. OECD (2011) How’ Life: Measuring Well-being. 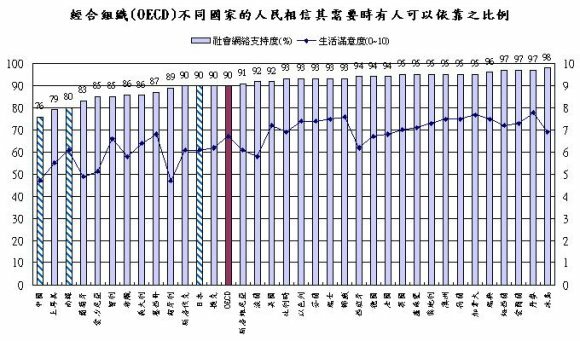 OECD (2011) How’s Life? : Social Connections. OECD (2011) OECD Insights: Human Capital. APA (2008-2011) Stress in America Press Room. Duffy & Wong (2003) Community Psychology. Allyn and Bacon. Nelson & Prilleltensky (2010) Community and power in Community Psychology: In Pursuit of Liberation and Well-being, 101-124. Australian Policy Online (2011) Social capital among school students in disadvantaged communities. APA (2011) Getting Along with Co-workers May Prolong Life, Researchers Find. Roberts (1996) Friendships between older women: Interactions and reactions. Journal of Women and Aging, 8(3/4), 55-73. Wethington & Kessler (1986) Perceived support, received support, and adjustment to stressful life events. Journal of Health and Social Behavior, 27, 78-89. Matt & Dean (1993) Social support from friends and psychological distress among elderly persons: Moderator effects of age. Journal of Health and Social Behavior, 34(3), 187-200. Holt-Lunstad, Smith & Layton (2010) Social relationships and mortality risk: A meta-analytic review. Plos Medicine, 7(7), 1-20. Crabtree (2012) Gallup News: Social Support Linked to Health Satisfaction Worldwide. New!